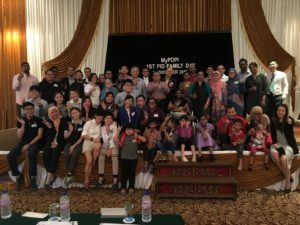 The Malaysian Patient Organisation for Primary Immunodeficiencies (MyPOPI) ended the year 2016 with its first national PID Family Day on December 18, 2016. 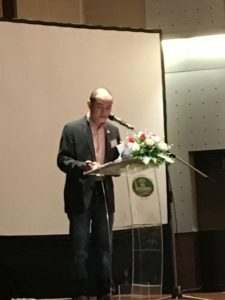 With the generous financial support from the International Patient Organisation For Primary Immunodeficiencies (IPOPI) and CSL Behring, the PID Family Day provided patients and families affected by PID an opportunity to meet and bond with other families, peers and healthcare practitioners. Many of them met for the first time, especially the new members who have recently joined MyPOPI. 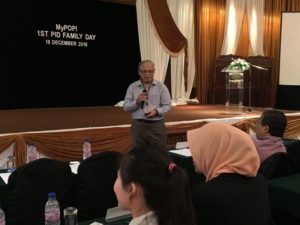 The PID Family Day welcomed 70 participants which included patients, families, caregivers, immunologists, medical officers from Universiti Kebangsaan Medical Centre, Asian Medical Students Association (AMSA) representatives, MyPOPI members and industry representatives from CSL Behring, Octapharma and Grifols. The one-day event was put together with the main intention to encourage patients and parents support group dialogue. The “Ask Your Doctors” session called for a more proactive and independent management of PID, giving patients the opportunity to lead their lives as they choose. The session was very much welcomed by participants as they found the topics presented by the panel of immunologists educational and helpful. Many questions were asked at the end of the session which made it very engaging. Other highlights of the Family Day included video messages from Jose Drabwell, President of IPOPI, welcoming all participants to the event as well as encouraging MyPOPI and its partners to continue the great work that they have started in Malaysia. A video message from Ricardo Pereira, President of APDIP in Portugal, was also presented during the meeting. 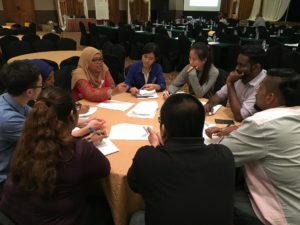 The video was aimed at young adult PID patients, encouraging them to speak up and play an active role in promoting greater awareness for PID in Malaysia. MyPOPI’s annual general meeting was also held on the same day for the appointment of new committee members for 2017 and 2018. The PID Family Day ended on a high note with a brainstorming workshop where MyPOPI members and AMSA representatives discussed and agreed on the plans and actions for 2017. Overall, the 1st MyPOPI PID Family Day was a great success and members have requested to hold this event on a yearly basis.